The most glittering event in Lower Manhattan’s spring social calendar is the annual Sailors Ball, a black-tie fete that draws sailing enthusiasts from around the region and the nation. Held in the august precincts of the historic Down Town Association club house, the April 27 event will feature dinner and dancing, cocktail and hors d’oeuvres, and much more. 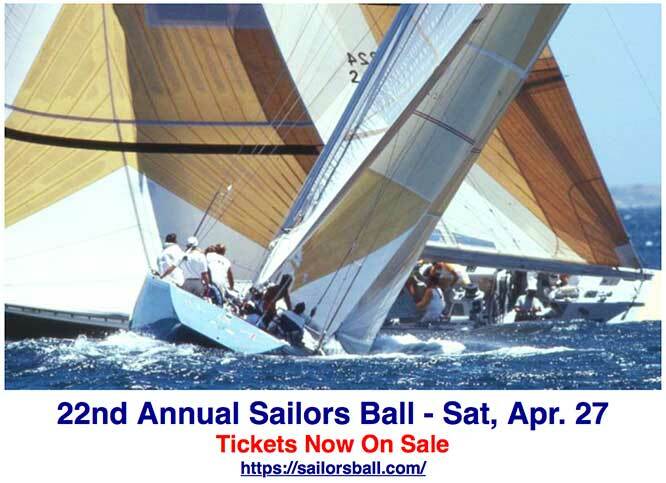 The Sailors Ball is the main annual fundraiser for the NY Harbor Sailing Foundation, which runs the largest junior-sailing programs in the harbor, as well as the Lady Liberty Regatta and the 12 Meter Program. For more information, or to purchase tickets, please browse: sailorsball.com/tickets/.